​​Jokes are great and sometimes you'll take a risk to get a laugh, but the dude just suffered a ​gruesome injury that could be career-ending. There is nothing funny about that fact. CBS just jokingly said Alex Smith broke his drumstick last week trying to make a thanksgiving joke. Boomer Esiason with the classy save empathizing with Smith & his family. Thank goodness Boomer Esiason was there to walk things back. Football is a dangerous game, and even fans know a player's career can be over in a second. 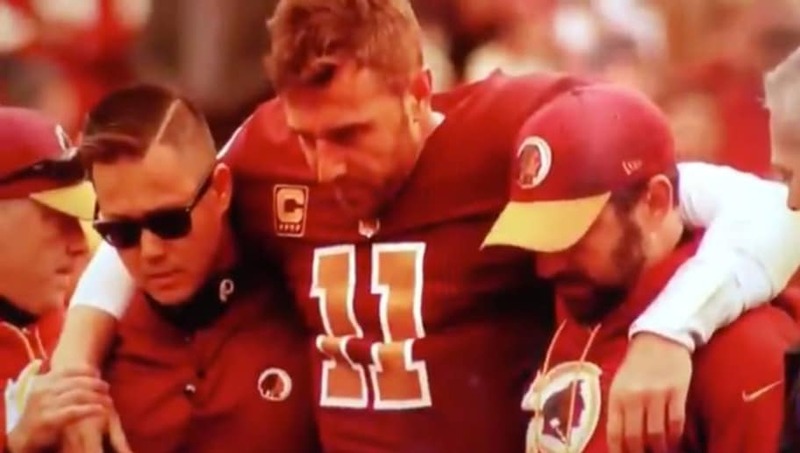 So when something like Alex Smith's gruesome, severe injury comes along, it'd be smart to show some compassion and decency and not try to make a joke out of it. Be better, CBS. What happened to the holiday spirit?